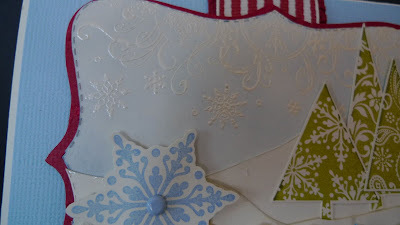 Look at the Christmas card my friend Janet sent me. I have been out stamped again!!! I love it! 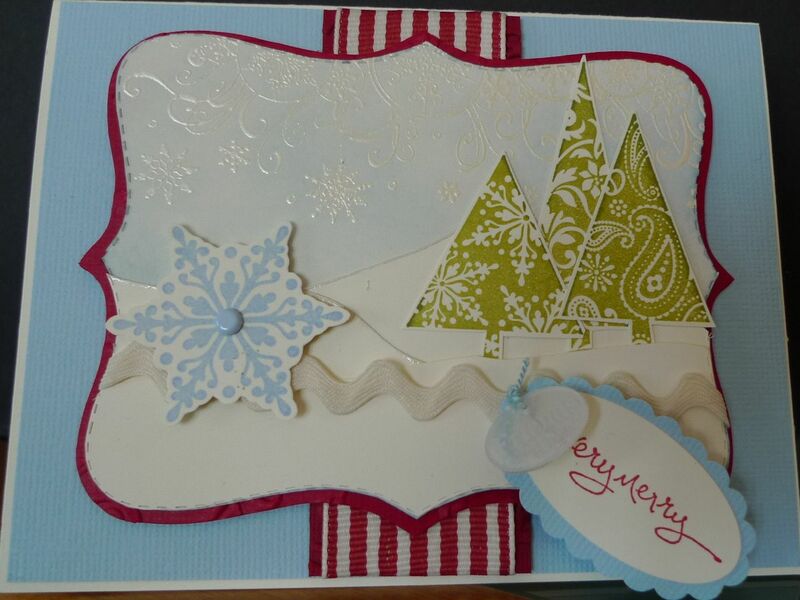 Janet used Bashful Blue, Riding Red, Old Olive and Whisper White for the card colors. 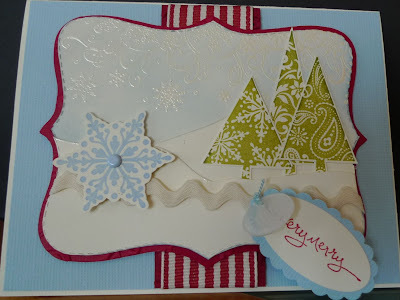 The greeting is from the Short & Sweet stamp set which is one of my all time favorites. 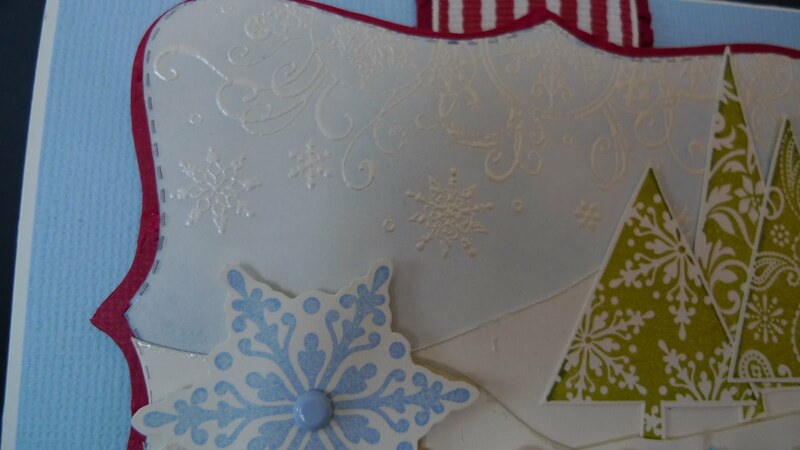 I love the embossed snowflakes and all the cut out images on the card.